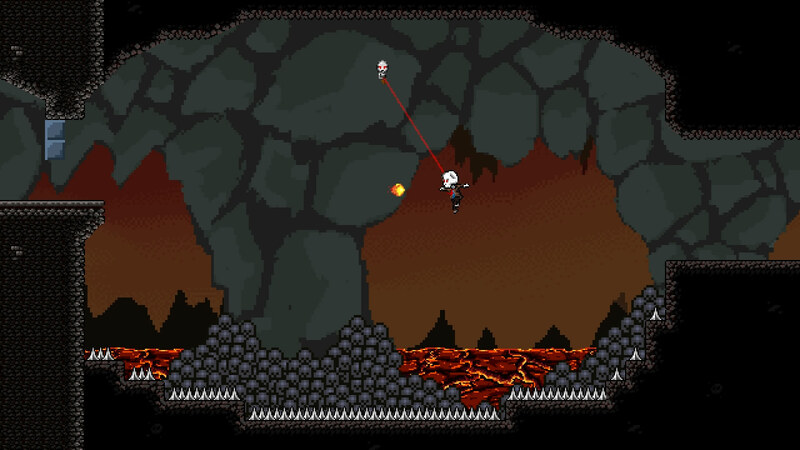 Mort The Intern began life as a flash game, which was then ported to XNA and now an early version of the Unity port (which is likely going to be the final rewrite) is available on Desura. It’s far from complete though and the game itself is also still in alpha stage, but a few very welcome additions have been included in this early Unity build, including gamepad support, key rebinding and access to resolution changing; though the game will be letterboxed in non-16:9 resolutions. Oh and those who like the idea of flexing their creative muscles by designing levels for other Mort players to traverse are in luck, because the developer has hinted at an upcoming level editor! Mort is an intern in the afterlife, working for a company that ferries souls to their final destination. Being an intern isn’t all it’s cracked up to be. However, when a clerical error is discovered, Mort is given the task of sorting it out. Could this be his big break? It could be, but sadly no one will know until the game reaches completion – the current alpha build only contains a portion of what’s planned, but I guess that’s one of the reasons for it being labeled ‘alpha’. Mort The Intern is available on Desura for $10 ($7 while in alpha), should you feel like putting those platforming skills to the test and helping poor Mort; a demo is also available and hey, Greenlight!